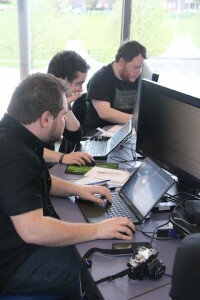 The Inter-ACE Cyberchallenge on Saturday was fantastic. 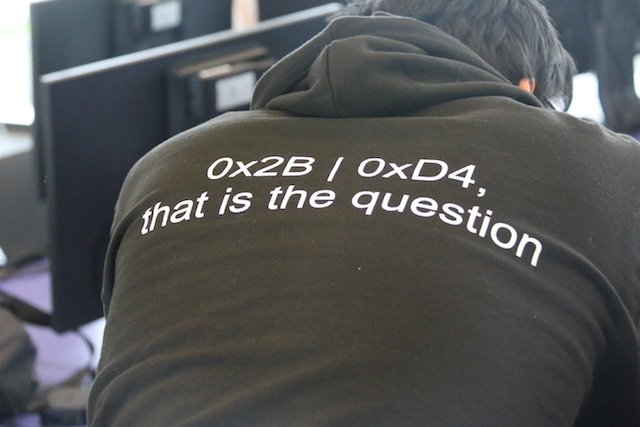 The event saw nearly twice as many competitors as attended the C2C competition in Boston recently, engaged in solving the most artful challenges. It was great to see so many students interested in cyber security making the effort to travel from the four corners of the UK, a few from as far away as Belfast! 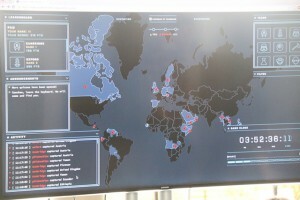 The competition was played out on a “Risk-style” world map, and competing teams had to fight each other for control of several countries, each protected by a fiendish puzzle. A number of universities had also submitted guest challenges, and it was great that so many teams got involved in this creative process too. To give one example; The Cambridge team had designed a challenge based around a historically accurate enigma machine, with this challenge protecting the country of Panama. Competitors had to brute-force the settings of the enigma machine to decode a secret message. 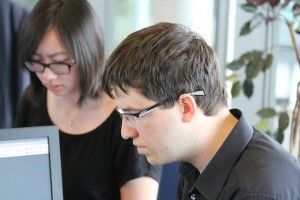 Other challenges were based around the core CTF subject areas of web application security, binary reverse engineering and exploitation, forensics, and crypto. Some novice teams may have struggled to compete, but they would have learned a lot, and hopefully developed an appetite for more competition. There were also plenty of teams present with advanced tool sets and a solid plan, with these preparations clearly paying off in the final scores. 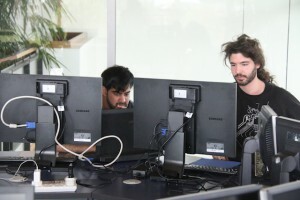 Between the 10 teams, their coaches, the organisers and the reporters, the lab was bustling with excitement and that intense feeling of hackers “in the zone” for the whole afternoon. 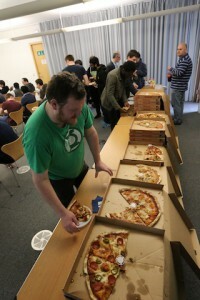 I have nothing but praise for our partners Facebook, who worked hard on setting the challenges and making the CTF game run smoothly, as well as feeding the participants with pizza and endowing the prizes with hacking books and goodie bags. The biggest thanks go to the ACE-CSRs who enthusiastically supported this initiative despite the short notice. 40 students came to Cambridge to compete in the live event in teams of 4, and another 40+ competed remotely in the individuals. In retrospect we should have organised a “best T-shirt” competition. 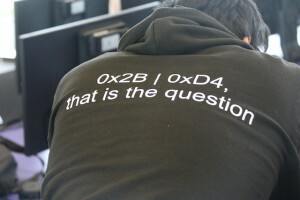 I especially liked Facebook t-shirts “Fix more, whine less” and “s/sleep/hack/g” but the one I would have voted overall winner (despite not technically being a T-shirt) was Southampton’s Shakespearian boolean logic. It is with a mixture of pride and embarrassment that I announce the winners, as Cambridge won the gold in both the team and individual events. I shall ignore allegations of having rigged the game except to say that yes, we did train our students rather extensively in preparation for the previously-mentioned Cambridge 2 Cambridge event with MIT. 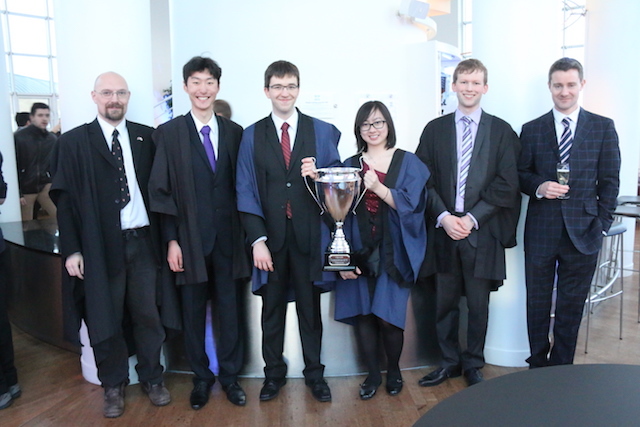 All of our winners are Cambridge undergraduates in computer science who had done well in the qualifiers for C2C. 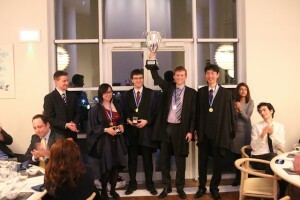 Two of them had actually been to Boston, where Gábor had been on the winning team overall and earned one gold and two silver medals, while Will (also former UK Cyber Security Challenge winner) had earned one gold, one silver and two bronze medals. Well deserved thanks also to my modest but irreplaceable collaborator Graham Rymer who designed and delivered an effective and up-to-date ethical hacking course to our volunteers. The Cambridge success in this weekend’s competition gives promising insights into the effectiveness of this training which we are gearing up to offering to all our undergraduates and potentially to other interested audiences in the future. We are once again grateful to everyone who took part. We are also grateful to the Cabinet Office, to EPSRC and to GCHQ for support that will allow us to keep the event running and we hereby invite all the ACEs to sharpen their hacking tools for next year and come back to attempt to reconquer the trophy from us. Heard ’bout this on the Beeb World Service. Can it be open sourced or accessed for international academics?